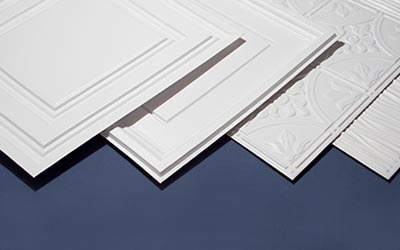 Genesis® is the last waterproof lay-in ceiling panel you’ll ever need to buy. 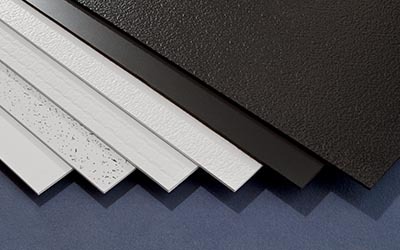 They are manufactured from PVC with a smooth or decorative, embossed surface texture. 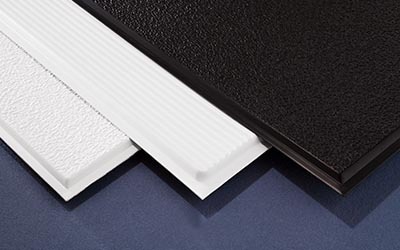 PVC panels, which are non-acoustical, solve the problems of water damage and mold or mildew that are traditionally experienced with fiber-based lay-in panels. Genesis panels are approved for use in food processing facilities by the FDA, USDA and CFIA. Fire Rated Class A Flame Spread & Smoke Index ASTM-E84 (UL723), ASTM D273, UL94. Rot, Peel, Flake & Impact Resistant, ASTMG21-Mold and Mildew Resistant. Eliminates costly remediation due to sick building syndrome as Genesis is not susceptible to moisture and humidity. Easily removed to be power-washed, scrubbed and sanitized with bleach or disinfectant. Meets Class A FSI and SDI ratings per ASTM E84. No irritating, harmful fiberglass dust. May be used in federally inspected food processing plants, restaurants and central kitchens. Extremely durable which leads to extended product life; Less damage during installation and repair work. Results in lower maintenance and operating costs. Designed for interior use. Will not yellow from fluorescent light or reflected sunlight. Color goes throughout, so scratches do not show; Product life is extended with consistent color appearance. Will lay-in to existing drop ceiling grid systems for 2’x 2′ or 2′ x 4′ panels. Use RotoZip or hole saw to drill holes for can lights or sprinkler heads. Utility knife for straight cuts.